We are having our Valentin's Day menu Friday Feb. 13, 2015 and Saturday Feb. 14, 2015, on both Oak Park and Chicago. Make your reservation for Friday or Saturday or for both days. 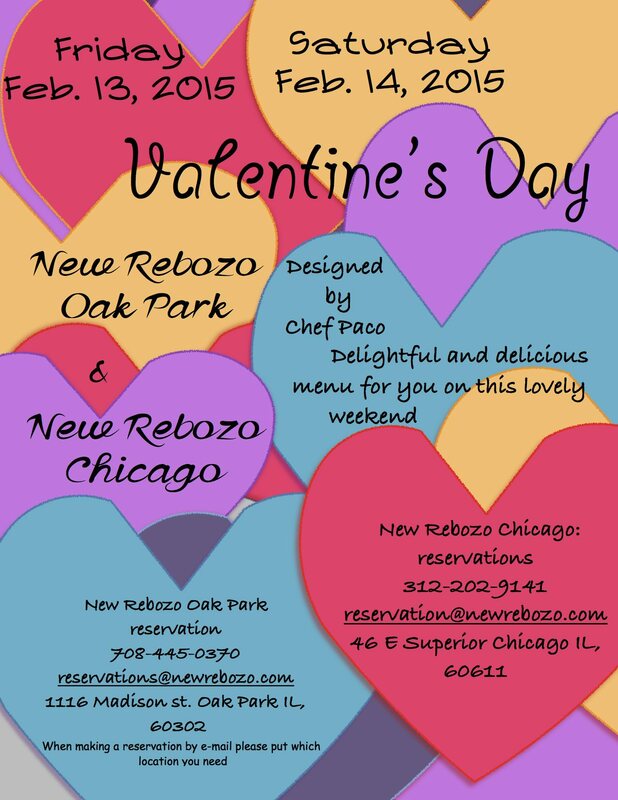 To make you reservation go to this page: http://www.newrebozo.com/contact it will help you a lot :) Keep looking for the menus to show up.